The beauty, complexity, and atmospheric brilliance of Sapienza was always going to be a tough act to follow for IO Interactive, but the bustling Moroccan city of Marrakesh provides ample room for innovation in this month's new episode of Hitman. 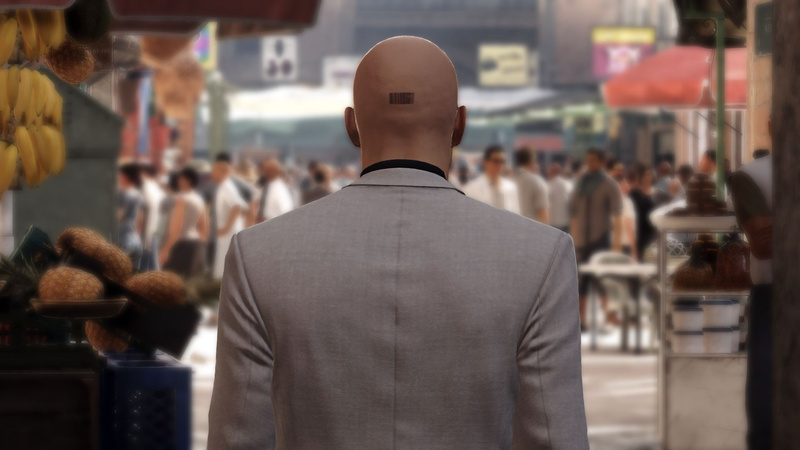 With crowded markets, labyrinthine streets, and plenty of interiors to explore, this instalment presents a very different approach to Agent 47's contract killing, but one that isn't quite as memorable as his Italian outing. The setting, instead of being a prissy, upper-class affair like in Paris and Sapienza, is a lot more interesting, and a lot more Tom Clancy-esque; a Swedish banker has stolen $7 billion of Moroccan money for personal use, holed himself up in the Swedish Consulate, and the people aren't happy, with riots just outside. Meanwhile, General Zaydan of the Moroccan Army is planning a government coup to take advantage of the volatile situation, and it's up to 47 to take down these targets and prevent a full scale revolution in Morocco. The stakes are high, to say the least. 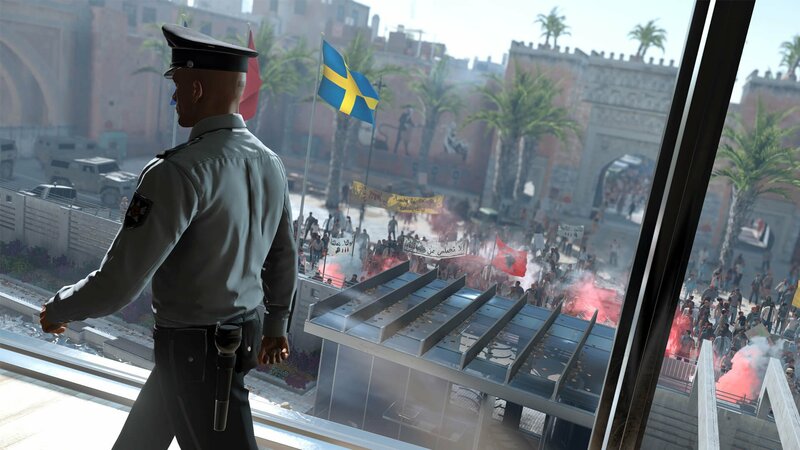 The North African city is noticeably smaller than Sapienza. The sheer amount of people on-screen is a technological marvel, though, and the fact that the game never really stutters or drops frames is a great achievement. The atmosphere is excellent, too, thanks to the polarising differences of the area; the polished modernity of the consulate contrasts the crowd baying for blood outside, which in turn is far different to the tourist haven of the town square. Of course, like all Hitman missions, this isn't a cakewalk. With the only way to access the General's temporary base in the school being through heavily manned checkpoints, you'll have to single out a guard and steal his uniform, while the consulate is even more heavily guarded. Luckily, there are plenty of creative kills to attempt, including (but not limited to) a falling toilet, a hanging moose, and a bit of good old-fashioned deception. 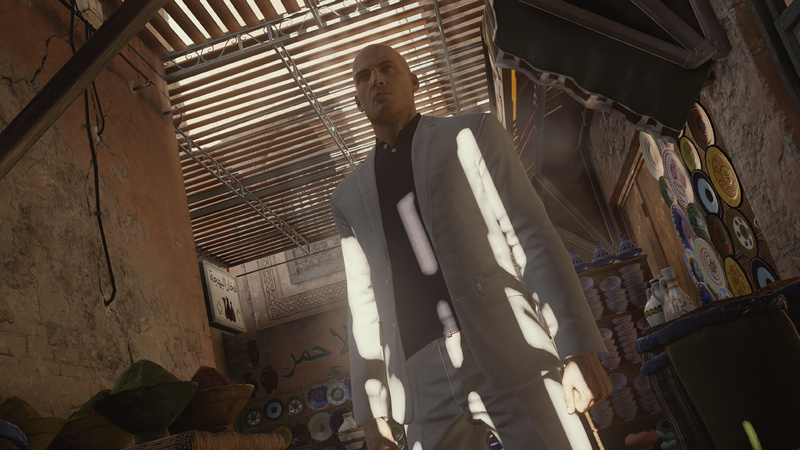 Marrakesh certainly doesn't hold back on the creativity as it does on the other aspects – a good thing, as creative kills is what Hitman is all about. Still, there are many lovely little details that are present that add to the atmosphere. Throw enough coins in a "beggar's" dish, for example, and he'll leave, taking his new riches home. You can even watch the tourists inhale shisha by the dozen, or listen to the protesters bay for blood outside. Many of these details and secrets also lead to Opportunities and therefore new weapons for you to exploit. For example, crawling past a shopkeeper getting harassed by soldiers leads to finding all sorts of swords and sabres in his store, while finding a guest pass and infiltrating a VIP club grants you a disguise that can help you gain access to the consulate. As is the spirit of Hitman, this episode's focus is on gathering intel, acting on it, and hoping that it helps you. Still, there's something about Marrakesh that feels far too limiting and hand-holding. Perhaps it was the on-the-nose commentary of some of the characters – a base commander berating his guards on the lack of security, and conveniently listing all of the base's vulnerabilities, for example. It feels a little too contrived at times, and while there are plenty of creative ways to take down your targets, they're all often based in the same room or situation, which seems like a waste of the intricate details of the city. 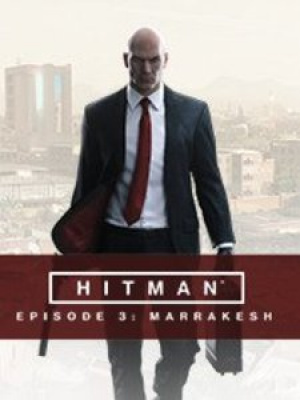 Hitman: Episode 3 - Marrakesh is a good addition to an already great release, and although it may not have the total freedom of Sapienza, it certainly does espionage and detail well. The constantly busy atmosphere and the variety of kills will keep dedicated assassins coming back for more. Roll on Thailand. Sounds like another great episode. Really looking forward to seeing how Thailand looks. Agent 47 really should have a boss tan by now. A lot of bugs but still a good one jus not getting that chance to kill the banker. Do you want to know some tricks for this game? Let's make an exchange, <a href="http://www.essaytrust.org/">write my essay for me</a> and I will tell you some tricks. and I will tell you some tricks. Hitman episode 3 is another great episode. Marrakesh is a good addition to an already great release. There are a lot of bugs but still a good one .The previous episodes of hitman was also awesome. buy back to school coupons. Offers to avail more access in the game because i don't want to leave my mission incomplete. Suggesting you all to play this and avail best of gaming experience. One of my favourite films and of course of of the favourite games, we usally play games like these in our breaks and when we wants to relax in our Penny Saviour office. Hitman: Blood Money is a classic, with some of the most memorable levels and scenarios in the franchise. Hitman: Absolution was the first game in the series published by Square Enix proper, aimed at a larger audience. Fans had problems with Absolution due to its focus on story, more streamlined mechanics, and use of a checkpoint system, which prevented players from messing around with the environments to find the best kills.